Whether it is totally unexpected or genetically inevitable, noticing a change in the texture of your hair may seem like the beginning of the end. Instead of watching and worrying, would it not feel great to be truly proactive in protecting the future of your hair? To help ensure a lifetime of healthy looking hair, Nutriol Shampoo enhances the vitality of your hair and scalp with patented technology. 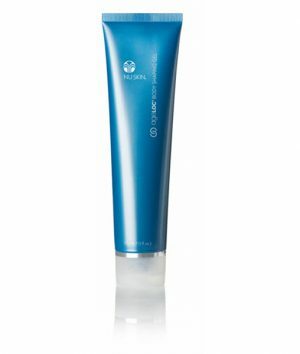 Nutriol Shampoo features Tricalgoxyl, a clinically proven seaweed derivative developed by a European laboratory. 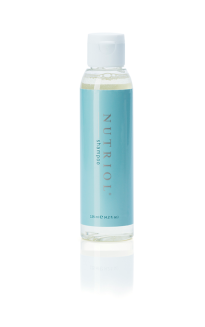 Formulated to remineralise the scalp and hydrate the hair, Nutriol helps you hair look and feel abundant. By helping revitalise the scalp for maximum hair vitality, Nutriol gives you the hair care technology to fight back! 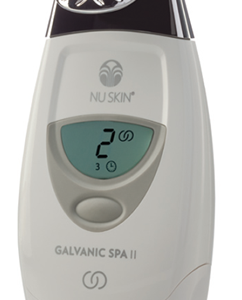 Rinse thoroughly with warm water (if desired, apply a Nu Skin®Conditioner of your choice after shampooing). 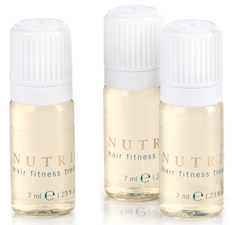 Follow with Nutriol Hair Fitness Treatment. Usage for approximately 2 bottles of Nutriol Shampoo per month. 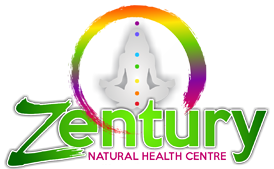 Aqua, Ammonium Laureth Sulfate, Sodium Chloride, Cocamidopropyl Betaine, Disodium Cocoamphodiacetate, Caprylyl Glycol, Asparagopsis Armata Extract, Glycerin, Ammonium Glycyrrhizate, Ascophyllum Nodosum Extract, Mannitol, Arginine, Calcium Pantothenate, Faex Extract, Allantoin, Biotin, Threonine, Hydrolyzed Soy Protein, Hydrogenated Palm Glycerides Citrate, Niacinamide, Coco-Glucoside, Glyceryl Oleate, Jojoba Wax PEG-120 Esters, Lecithin, Disodium EDTA, EDTA, Citric Acid, Tocopherol, Ascorbyl Palmitate, Parfum, Phenoxyethanol, Benzyl Alcohol, Sodium Benzoate, Chlorphenesin, Limonene, Linalool.